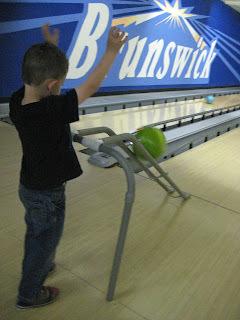 Caiden was invited to Keaton's birthday party and it was his first time bowling!!! 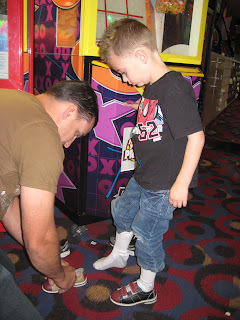 Dave putting bowling shoes on Caiden for the first time. 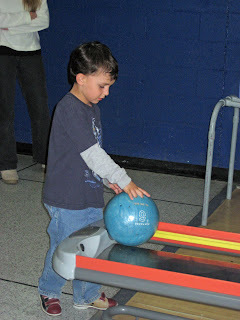 Since Caiden had never bowled before, he initially started to use this contraption thing that was supposed to help the kids. 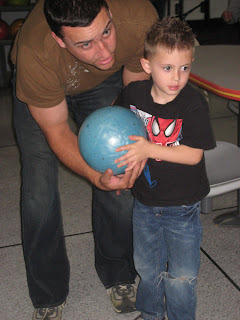 However, Dave jumped in to teach him "the form" and technique. 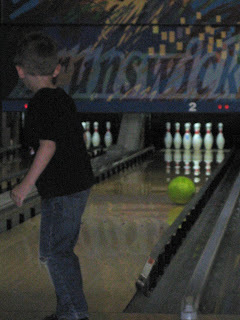 In no time flat, Caiden was chucking (well, that's what he was doing) the bowling ball down the alley. 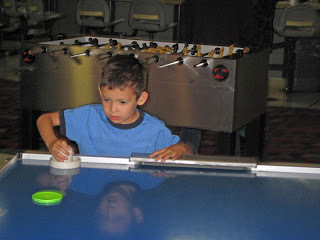 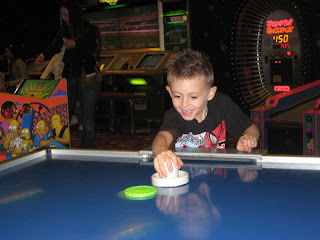 After the party, Eric and Caiden hung out and played some air hockey. 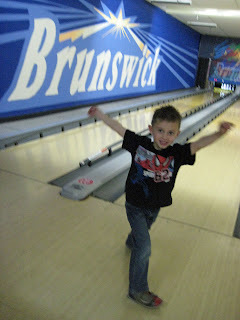 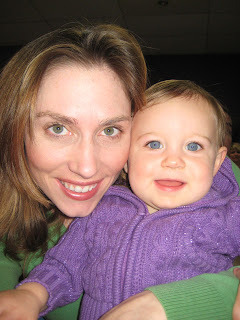 It looks like Caiden had a great time at the party and got to do lots of special stuff. 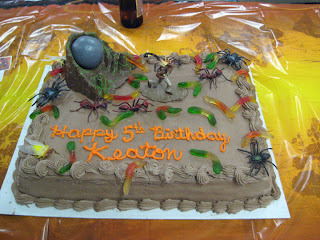 It's nice that he has such nice friends.